Postcard of a girl in a traditional Irish dancing dress making a huge veggie breakfast. 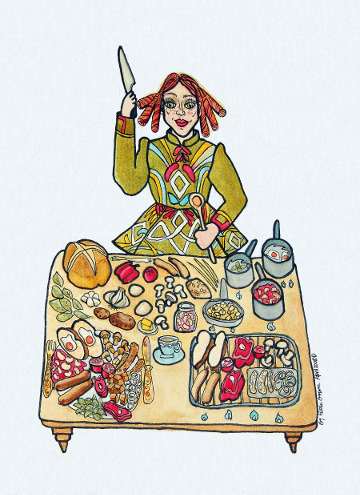 Postcard of a girl in a traditional Irish dancing dress making a veggie breakfast. It's a big breakfast, including poached eggs, veggie sausages, tempeh slices, grilled vegetables and a cup of tea.